One of my sponsors today, Windows by Melissa, has graciously offered one of you my sweet savannah readers a pair of 84" in length yellow chevron drapes! Go here to see what they look like in a room! 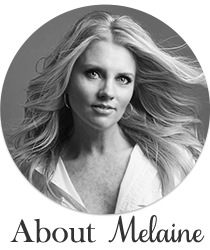 Melissa also recently started a blog, go here to check that out. This is one seriously talented girl! Please visit her blog and etsy shop and come back here letting me know you did so. One comment per person please, and be sure to let me know your email address so I can contact you if you are the winner! I will pick a winner via random.org and announce on Friday! If you are interested in advertising with my sweet savannah please email me for rates. Checked out her blog and etsy, super cute stuff! Love this fabric & I have the perfect spot for these curtains :). Thanks for introducing us to a new great blog. No problem finding a spot for the chevron drapes in my house! Thanks for sharing the blog and etsy shop. Love these curtains and all her fabric choices are great! Really great stuff! I particularly like her roman shades. Ok, redoing my Emma's room and those curtains would be perfect! Going with the "sophisticated teen" color scheme of grey/yellow/coral! Would love the chevron drapes!! In love with those curtains! I am moving my daughter from her crib to big girl bed these next two weeks, the chevron would be darling in there. Thank you for the great giveaway. What darling curtains! I've checked out the blog and Etsy shop. I'm amazed at all the talent on Etsy, truly amazed. Fingers crossed for a win! Went to her blog and her etsy shop. Those curtains would be perfect for my new house! Checked out the sites, love that aqua color on the walls! Oooo...I like them! She has a great blog and etsy shop too! Oh my goodness, checked out both (and favorited and followed too)...how super cute!! I actually have a room in my home that is going to double as a family room/playroom and I've been desperately searching for curtains that will work for that...these are absolutely perfect so I would really love to win!!! Thanks for the chance!! These are so much fun.....i am thinking that they would be great modified as a shower curtain! Ooohhhh... my little boy's room would be amazing with these curtains! Wow, what talent! Thanks for the giveaway! Love the yellow chevron curtains! Checked out her blog too! Thanks! I used this fabric for my baby shower last year and absolutely loved it! How fun would it be to have some curtains! Just checked this blog, thanks for introducing these designs and photos. Oh my, super cute! Those would look great in my daughters room and the walls are already the same blue color as the picture of the room. These would work perfectly in my bedroom! Checked out her blog! Went to her blog and checked it out. Would love to be the winner! Wishing Melissa incredible success in her new business! Looks like a very sweet & talented lady. Great seeing you in Kirkland, Melaine! 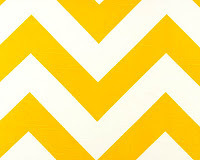 Love the Yellow Chevron print...I know just where I would hang these! Great Blog and Etsy shop too. Thank you. Love her etsy shop, know exactly where i would put these, in my living room. I have been looking for curtains for this room for a long time. WOW - what a fantastic giveaway!! Love her stuff, hope I win!! Checked out her blog and etsy. Super neat window treatments. I love the roman shades!! Love these curtains! I have liked them on etsy for a long time now! oh those drapes would be the cherry on top my redo guest room !! I like her Roman shades as well. Thanks! I checked out her blog and her easy. Love it! I'm just over my head with how cute chevron is these days. I want it all over the place and I would be HAPPY to find a place for those yellow curtains! Lol. Love the drapes also love her blog. Checked out her blog and Etsy shop. cute stuff! I am familiar with this pattern and love it! I am heading over to her blog and shop now Thank you for sponsoring the giveaway! I checked her out, and loved both her blog and shop. These would look so cute in my little boy's room! I checked out her blog and her etsy store. Super fun stuff! Love Chevron!!! They are super cute! The yellow would go well in my master. love her etsy shop, so cute.The chevron drapes will be perfect for the family in need that I am helping. The drapes will be perfect for the little girls room. Checked out both! Love the drapes! Just this past weekend I was searching drapes on Etsy and found Melissa's sight. I loved her stuff just am waiting on new windows to start picking. I've been searching for drapes in a yellow with a geometric print preferably. Great giveaway! Wow what a talented lady ...and I love the chevron striped curtains ..thanks for the chance to won! Wow! Those curtains are fab and would look awesome in my bedroom. I would even be tempted to paint my walls aqua like in her picture. She's got some lovely pillows over there as well. Oh goodness, her stuff is beautiful! Hoping I win these! She does some really nice things and I enjoyed her writing style!! Her work is beautiful! These curtains make me happy! Thanks so much for sponsoring! I love the chevron pattern in general and have been looking to add some life to my living room. It's so hard to change from the style you have always had to something more fresh. This is just what I need. So cute - love/need these curtains! I've been looking for some drapes to make my room POP! Would love these! Definitely right in the fact she is very talented! I love that she does a sponsor family monthly! What a heart! Love the yellow chevron...think I would redo my office based on those! These would totally bring the sunshine in to my Tudor. Love her blog and etsy!! These curtains are TO DIE FOR!! I love them so much!!! I think they would look great in my living room!! I love the yellow. what a fun color. Also love reading your blog! Wow, what a fun blog! Love it! Great curtains too! Cbecked out her Etsy shop and blog....love the yellow curtains. They would brighten up my hall window beautifully! Checked it out! Adore her stuff. My sweet lil girl has the perfect turqoise walls for those drapes! Lovely stuff/ She is so talented. Love the ikat and zig- zag. Wow, I love all things chevron... the etsy shop was dangerous (in that I wanted to buy everything!) and I'm always excited to learn about a new blog. My email is [email protected] in case I'm able to win your giveaway! Thanks! checked out both the website and etsy shop; love the fabrics! I love her blog! And yours, of course! Thanks for the awesome giveaway! I would love to hang these in my bedroom! Checked oust her blog and etsy shop. Melissa has some beautiful fabrics. Thanks for directing us to her blog. This is a great giveaway, I'm dreaming of which place would be best for these cheerful curtains.